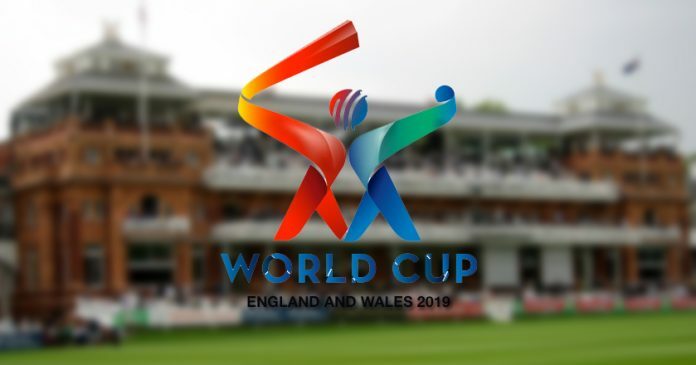 The 2019 Cricket World Cup (officially ICC Cricket World Cup 2019) is scheduled to be hosted by England and Wales, from 30 May to 15 July 2019. This will be the 12th Cricket World Cup competition, and the fifth time it will be held in England and Wales, following the 1975, 1979, 1983 and 1999 World Cups. The format for the tournament will be a single group of ten teams, with each team playing the other nine teams, and the top four teams progressing to a knockout stage of semi-finals and a final. Last time World Cup took place in England was back in 1999 where Australia won the competition. 2019 CWC final will be played at Lords in London and Oval cricket ground will host the opening match. England will get direct qualification to the 2019 world cup. ICC announced that they are planning to introduce a 10 team format which will have top 8 ODI teams plus two teams who will have to qualify through ICC World Cup Qualifiers 2018. The new format and suggestion of 10 team world cup has been widely criticized during the 2015 world cup. Unlike 14 teams in 2011 and 2015 world cup, ICC plan to have just 10 teams in the 2019 world cup. Where England will get the automatic qualification being the host nation while 7 teams from the top 8 ICC ODI ranking (excluding England) will get the automatic qualification. 2 more teams will join top 8 teams in the world after ICC World Cup qualifiers which will take place in 2018 in Bangladesh. Every team will play against other 9 teams in the round robin fashion, which means every team will play 9 matches and top 4 teams will qualify for the semifinals. So there will be total 48 matches in the competition 45 group games plus 2 semifinals and the big final. This format is pretty good because A) every team will have alot of matches in the competition B) fewer dead rubber games. The matches will be played on 11 different venues including Sophia Gardens in Cardiff, Wales. First match to take place at Oval cricket ground and the final will be at Lords cricket ground. The semifinals will take place in Old Trafford, Manchester and Edgbasten, Birmingham.